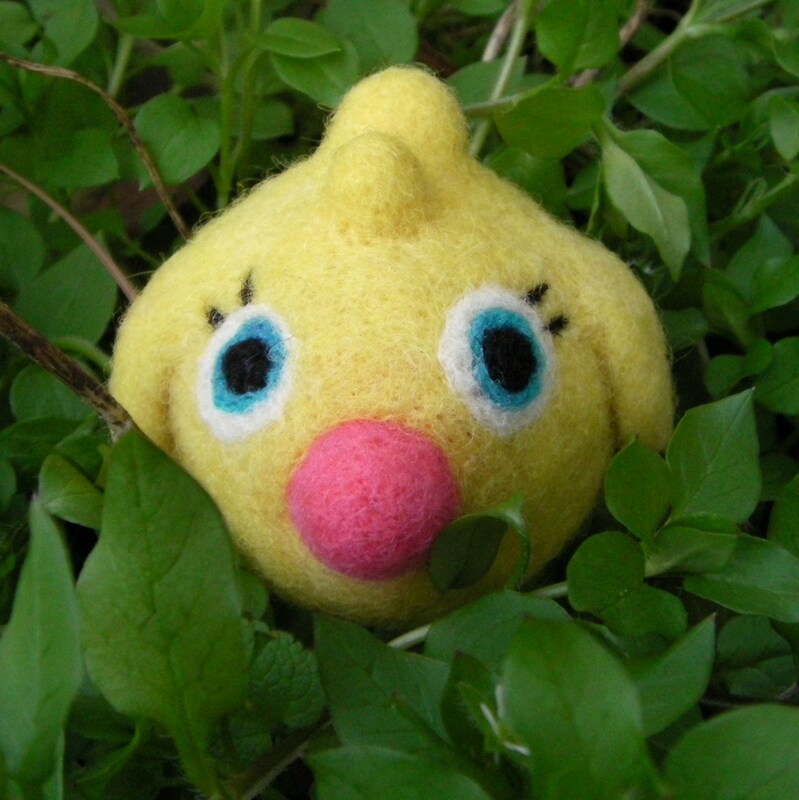 ← Customizable Needle Felted Baby Bird Toys! Today is the official beginning of Spring! The spring equinox happened while I was sleeping. It is bright, sunny, and very warm outside; I just love spring! I’ve been taking advantage of the mostly mild weather here and have been gardening with my children all week. After disturbing the soil and returning indoors, I peek out the window to see the robins flock towards the disturbed rough dirt to peck at the scurrying insects! 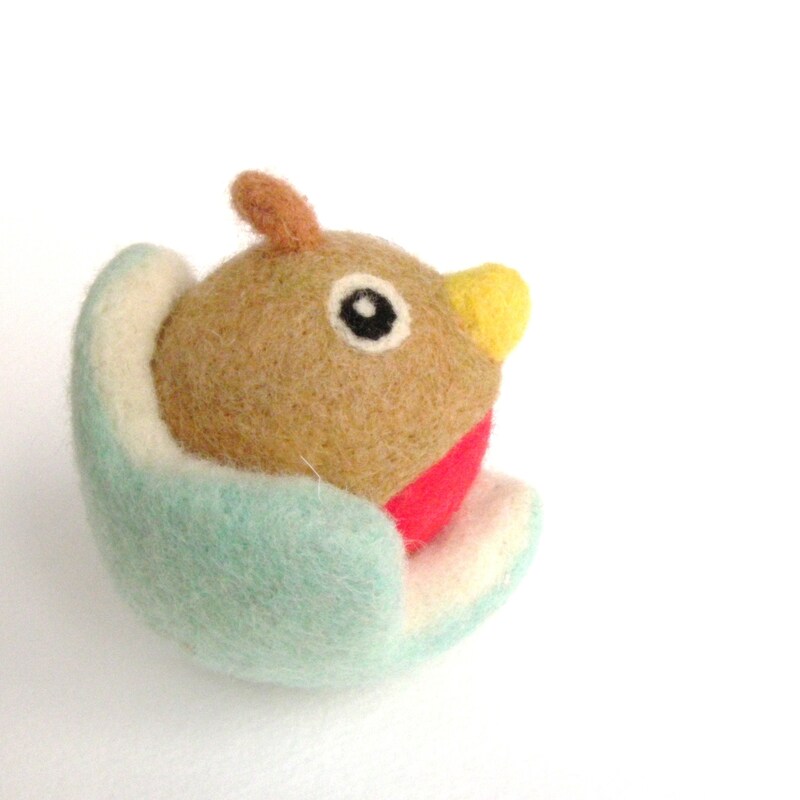 I suppose that is what inspired this little felted robin in a baby blue egg shell. The American Robin is actually not a robin at all. It was named after the European Robin that has a similarly red-colored belly. The robin I’ve seen throughout my whole life, is actually a member of the thrush family! I thought I’d throw in a little education along with my cute felted bird! and it’s edible as well. I don’t even have to yell at my kids for putting it in their mouth! 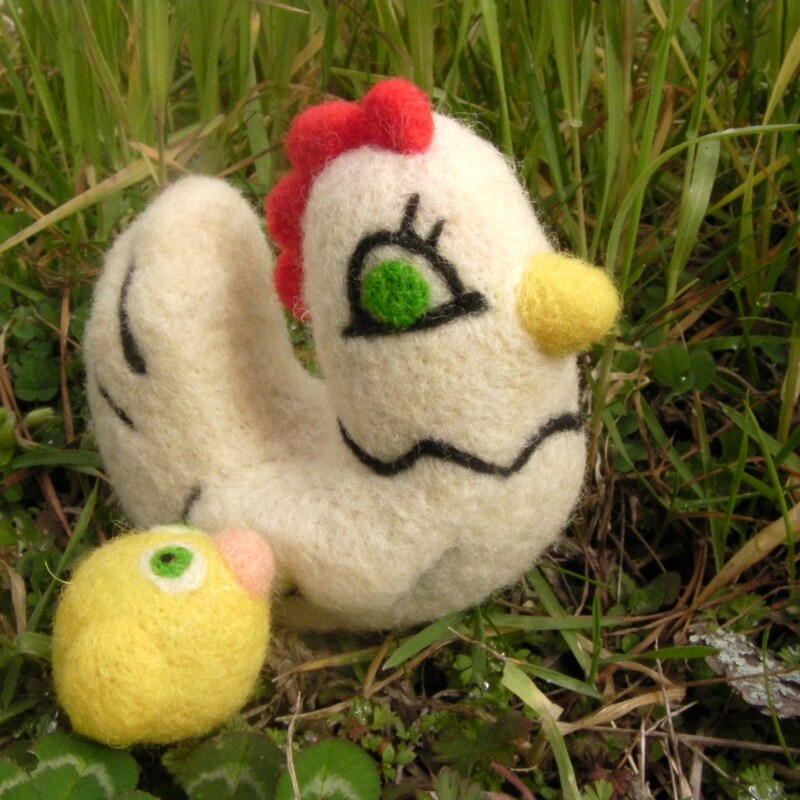 The felted hen with chick are sitting in front of some massive wheat grass. I know you can’t see it in the photo, but that wheat grass is out of control. I grind wheat sometimes for homemade bread, and I tossed a handful of wheat berries on my lawn and they took off like crazy. I have these tall bright green patches amongst an otherwise desolate lawn! I’m pretty much just chatting at this point. So I guess I will end with a “Happy Spring Everyone”!!!! !